Self-adhesive & removable floor wrap films. 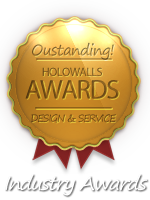 Holo-Wall's most popular product! Our unique films on a removable light tack adhesive that is easily applied to any smooth surface including dance floors. Can also be applied to walls, sets, props, displays and any smooth, sealed surface. Holo-Walls is now producing "Floor Decor" - a new line of peel and stick decorative, custom produced floor graphics and designs for dance floors, stage flooring, trade shows and event flooring. Award-winning liquid-encased portable floor tiles Swirling and morphing liquid lava right under your feet! Interaction creates a playful movement of light and color stimulating sensations of nature and atmosphere. 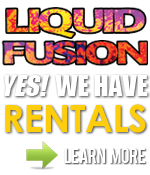 Click here for Liquid Fusion floor rentals information. We currently have two LED floor rental packages available. Using the same embossing processes for our holographic color films, we can produce films that perfectly emulate the look of real metal. These ultra-thin metallic designed films allow designers to create the look of real metal without the need for special fabrication and is light weight and easy to apply. Holo-Walls offers economic temporary REMOVABLE gloss floor vinyls in two standard colors of black and white, with custom colors available, that are easy to apply/remove for that desireable SEAMLESS look. New is our Metallic Glitter Series. Download the PDF below for more information. Contact us for custom color/pattern options. For CUSTOM PRINT OPTIONS, navigate to our FLOOR DECOR section. Incorporating any of our unique holographic film patterns, we laminate these films to a 10 ounce black reinforced fire-rated vinyl. These are then cut to any length you require with grommets added along the top for hanging and a four inch pocket hem on the bottom for inserting a pipe or similar for it to hang flat. "We would like to extend our appreciation for your tremendous contribution to the Governors Ball. It has been an absolute pleasure to collaborate with such a Talented team"